Select Federal Credit Union will offer onsite check cashing, deposits, withdrawals, opening accounts, loan applications, financial counseling and notary services. SAISD Adult Education offers evening classes on site. Free childcare is provided for evening classes only. Walk-in enrollments are welcome. Day sessions to begin soon! SAISD Adult Education offers evening classes on site. Free childcare is provided for evening classes only. 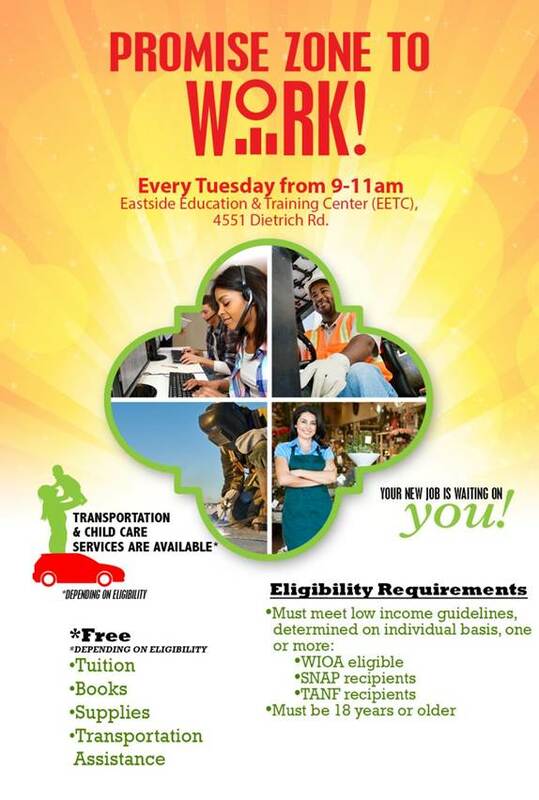 Walk-in enrollments are welcome.Day sessions to begin soon! 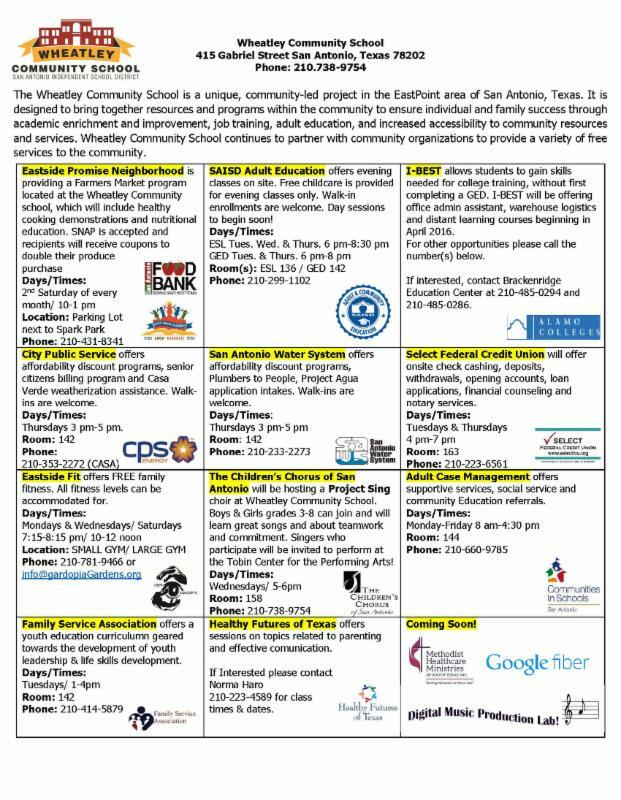 Supportive services, social service and community education referrals. Offers affordability discount programs, Plumbers to People, Project Agua application intakes. Walk-ins are welcome. 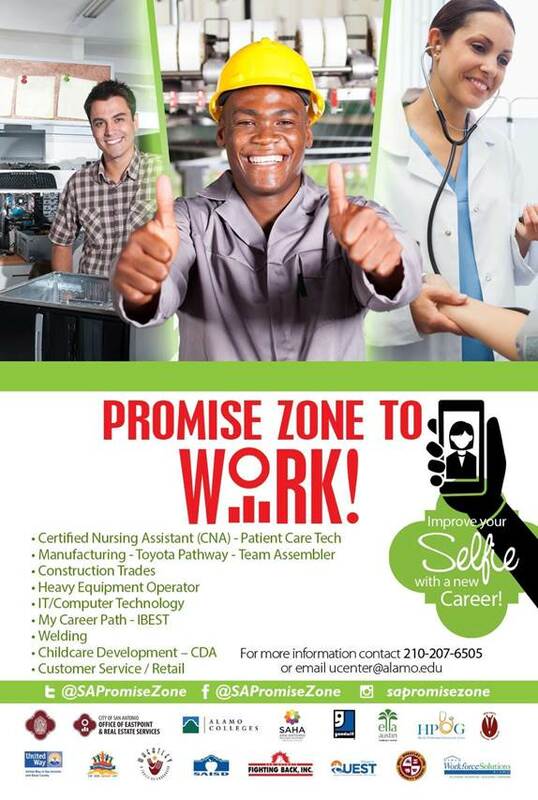 Join the SA Promise Zone to improve your selfie with a new career. 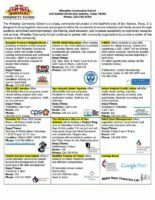 For more information, click on the fliers above.